WHY REPIPE? The short answer is: a home repipe is a permanent fix that saves you money in the long run. 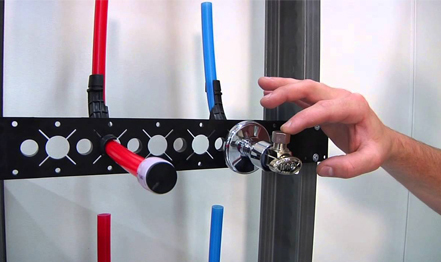 We use only the highest quality PEX material available for repiping. In areas where pex piping is not permitted or desired we install type L builders grade copper pipe. PEX is a durable, versatile, high-density tubing which is quickly becoming America’s favorite repipe material. Quality varies a lot with PEX pipes. We only use the Uponor PEX system which easily outshines any other PEX product on the market in terms of quality, safety and reliability. This means you get a high-quality, affordable PEX repipe and cleaner water in your faucets and shower heads.